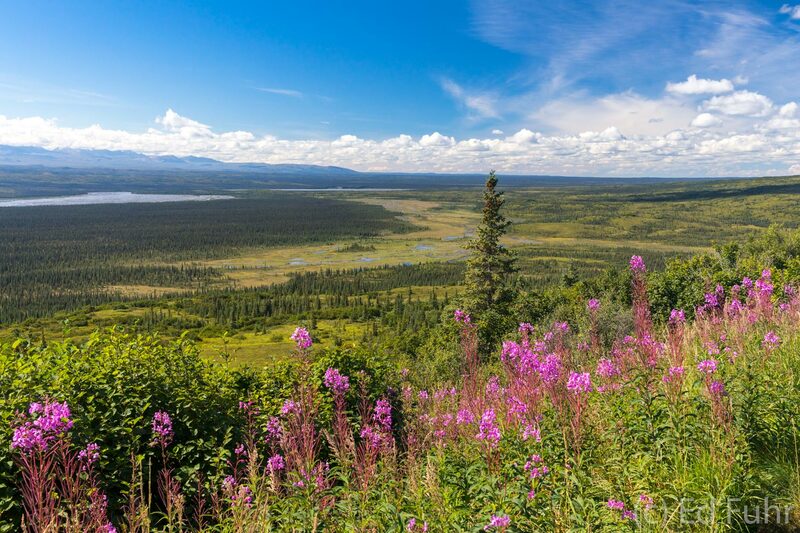 Denali does not enjoy many summer days with blue skies but when they arrive the whole valley seems to come alive and sing. . Photo © copyright by Ed Fuhr.